See "A Michael Crichton Christmas 2010"
Hi Marla, it's really great! Had/have you a tune in mind or is it meant as a poem only? Pirate latitudes arrived today (yes -don't laugh, only today - it suits me well fr teasing you with the publication date...). So am eagerly reading already. Yes, it can be sung to "The 12 Days of Christmas". Maybe next year I can find someone who can sing and create something for YouTube. Congratulations on finally getting Pirate Latitudes! I've read it and now I'm reading books on pirate history. Since we didn't get a bibliography for this book, I'm going to create a recommended reading list. Let me know when you are finished reading Pirate Latitudes! Thank you so much for sending this to me. I had no idea that Michael was gone. Where have I been? Love the poem. I do not have Pirate Latitudes. Now I have to get it. Thank you for emailing this to me, it's fantastic! 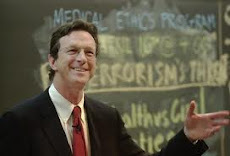 I read many of Michael Crichton's books several years ago. I haven't read any in a while but I plan to rectify that in the coming year and get back into his books! Thank you for the fun poem/song & a reminder of his great books! This was fun to read. Thanks for sending me a link to this post! Marla - You are so clever! Thanks for emailing me with the link. Now there's a video of A Michael Crichton Christmas!